Naïm Abou-Jaoudé, Pascal Blanqué, and Marie Dzanis discuss how to prepare for the future in asset management by adjusting to robo-advisors, choosing between active and passive management, rising interest rates, volatility, and their effects on investment strategies, and the future of asset management jobs and of the investment industry. This is the archived version of a live broadcast that took place 26 November 2018 at the CFA Institute European Investment Conference. In investments, portfolio diversification may be the only free lunch. But does it really work? 1. Are asset allocation and portfolio diversification still valid? 2. How should asset allocation and portfolio diversification be implemented in a non-normal world? In this presentation, Jim O'Shaughnessy, Chairman and Chief Investment Officer of O'Shaughnessy Asset Management, discusses fundamental characteristics that drive stock returns in different economic cycles; distilling hundreds of possible investment factors into persistent, cohesive themes that can form the foundation building blocks for equity strategies; how factor spreads tend to expand in and around recessions; managing risks in the current environment; and more. This is the archived version of a live broadcast that took place at the 2018 Financial Analysts Seminar. Algorithmic trading is not well understood by a large segment of the financial community. To many, algorithmic trading, or “algo trading”, simply means “automated trading.” However, the term actually encompasses a wide variety of trading methods, strategies, and time horizons, and practitioners of one variation of algo trading may have little knowledge of another style. In this webinar, portfolio manager Parijat Garg, CFA, will provide a general introduction to algorithmic trading, give some examples of what strategies look like, and discuss some of the operational realities of algo trading. This is the archived version of a live webinar that took place 26 July 2018. 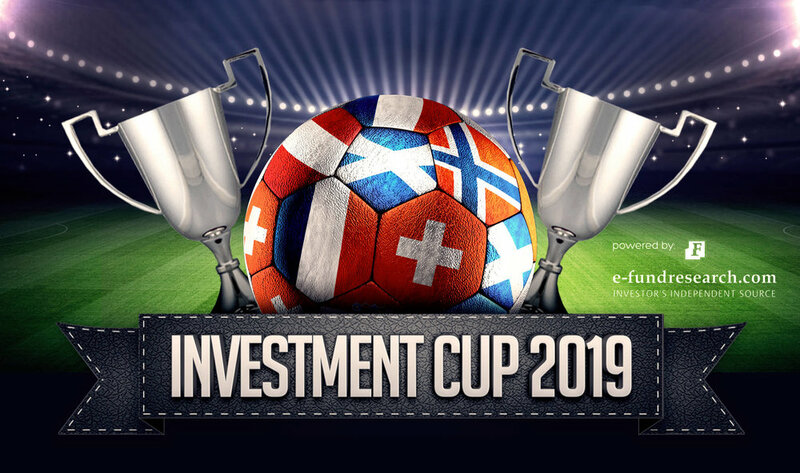 CFA Society Austria is invited to send a team to the finance industry’s most important soccer tournament in Vienna, e-fundresearch’s Investment Cup. Despite last year’s short term effort and the heat, our albeit small team was reasonably successful. This year we are definitely looking for a broader number of participants and a top score! Andreas Willenbacher has kindly agreed to coordinate CFA Society Austria’s team efforts, so please reach out to him aw@willenbacher-advisory.com. The aim is to have at least one joint training session prior to the tournament. Please refer to Investment-cup.com for more information. We are very much looking forward to the tournament and a stellar performance by our team! The financial crisis led to a loss of trust in providers, regulators, and financial innovation among consumers, Merton observes. Some have proposed technology can stand in for trust, but he says fintech cannot create trust or succeed without it. Two things, however, can substitute for trust: verification and transparency. Some forms of fintech can provide verification, but financial advice tends to be opaque rather than transparent. Merton also discusses data showing retail investors as less satisfied with cost disclosures and performance from active portfolio managers than institutional investors. In this presentation, Arthur Budaghyan, senior vice president and chief emerging markets strategist at BCA Research, discusses three pillars that build emerging equity markets' performance—banks, commodities, and technology. He also talks about factors that drive emerging market bonds and currencies and assesses emerging market valuations and the importance of China and its outlook. We are happy to invite you to a live event where we have invited the CEO of the Vienna Stock Exchange to present an interesting new segment on the stock market. This event qualifies for 1 continuous education credit. We are pleased to host Tim Hayes again in Vienna to give us his analysis and outlook for 2019. Snacks will be served following the presentation. Timothy W. Hayes, CMT, is NDR’s Chief Global Investment Strategist. He has been with the firm since 1986. Tim directs NDRG’s global asset allocation services, develops strategy and major investment themes, and establishes NDRG’s weightings for global asset allocation, presenting his views on the cyclical and secular outlook globally. This session from the Equity Research and Valuation conference will discuss: combining both quantitative and fundamental approaches to position equity and multi-asset portfolios, building a good “defense” in stocks is multi-faceted, as rates transition from “lower for longer” to “higher at long last”, and around-the-world views on fundamentals, valuation, technicals, credit spreads, sentiment, macro trends and more—from developed to emerging markets. Read more about Kate Moore's session on the Enterprising Investor. This is the archived version of a live broadcast that took place 6 November 2018 at the Equity Research and Valuation Conference. We have the pleasure to offer a course for improvement of your soft skills. In a 2.5 hrs tutorial on 4th of March Charlie Walker Wise of RADA (Royal Academy of Dramatic Art) provides a course improving “executive presence”. Maximising presence involves more than just technical expertise. It requires excellent communication skills, influence and impact and confidence. By exploring a range of skills and techniques focussing on their body, breath and voice, participants will better understand how to appear with great authority and authenticity. They will develop an awareness to be able identify their default communication style and presence, and learn the skills available to them to be able communicate with greater presence, effectiveness and credibility. In practising these skills participants will better understand how to maximise their executive presence in a range of different situations. The course will take place at Kathrein Privatbank AG, Wipplingerstrasse 25, 4th of March, 13.00 – 15.30 followed by drinks! We are able to offer this for free on a first come first serve basis for appx. 25 particpants. Please e-mail gerhard.beulig@erste-am.com if you are interested. Dear members, after last years’ introductory seminars we would like to invite you to another programming course in the statistics software "R" focusing on more advanced applications. Lösung von quantitativen Fragestellungen aus dem Bereich des Asset- und Risikomanagements anhand von Praxisbeispielen und mithilfe der Programmiersprache R. Der Schwerpunkt dieses Seminar liegt auf fortgeschrittenen Anwendungsbeispielen, die Handhabe von R mittels der Entwicklungsumgebung RStudio wird nur sehr kurz wiederholt. Im Anschluss wird intensiv an der eigenständigen Umsetzung von Praxisbeispielen aus dem Asset- und Risikomanagement gearbeitet. Im Finale erstellen wir gemeinsam eine R-basierende Webapplikation mit „Shiny“. Da es sich um kein Grundlagenseminar handelt, sollten Teilnehmer des Kurses bereits einige Erfahrung mit der generellen Handhabe von R haben. Inhaltliches Wissen für die im Seminar behandelten Fragestellungen ist von Vorteil, aber nicht zwingend nötig. Kenntnisse von „Shiny“ sind nicht nötig, hier werden Grundlagen erarbeitet. Jürgen Wurzer, MA, CFA, is Deputy Head of Portfolio Management at Macquarie Investement Management Austria and regularly teaches “R” classes at different educational institutions. We are very grateful that Jürgen will share with us his insights and experiences in teaching “R”. The event will take place at the Invesco Asset Management Österreich office, Rotenturmstrasse 16-18, 1010 Vienna. The course will last from 16:00 – 20:00, participants are welcome from 15:30 onwards. Snacks and drinks will be served during the afternoon. Scholes presents his research into what the markets were saying about the risks in the S&P 500 in the years before, during, and after the financial crisis, focusing on two-month put options. He concentrates on the tails of the distributions. “When tail events occur,” Scholes says, “then risky assets all behave as one.” He notes the cliché that ‘diversification is free’ and instead observes, “In times of stress, it isn’t enough.” He highlights four distinct periods in the data, which cover the years 2005 to 2009. In this presentation, Ed Yardeni, president of Yardeni Research, Inc. provides unique insights into predicting trends and cycles in the domestic and global economies and financial markets—including stocks, bonds, commodities, and currencies—from 40 years of experience on Wall Street. He talks about why conventional forecasting models have been so frequently wrong and how to improve investment performance through outside-the-box thinking while avoiding the groupthink of consensus forecasting. This is the archived version of a live broadcast that took place 26 July 2018 at the CFA Institute 63rd Annual Financial Analysts Seminar (FAS). Bei Interesse ersuchen wir um Ihre verbindliche Anmeldung. Please enrol here. CFA Society Austria läuft ist wieder unterwegs! Gemeinsam wollen wir das Jahr aktiv beim Wiener Silvesterlauf des LCC Wien ausklingen lassen. Alle Jahre wieder nehmen Jung und Alt, Eltern mit Kinderwagen, Hundebesitzer, Touristen aus aller Welt mit großer Begeisterung teil. Viele Teilnehmer sind kostümiert. Die kurze Strecke und lange Dauer der Ringsperre ermöglicht auch Laufeinsteigern und Walkern an diesem Vergnügen teilzunehmen. Da der Lauf bereits um 11:00 Uhr stattfindet, bleibt noch genug Zeit um sich nach dieser sportlichen Betätigung auszuruhen um sich dann erfrischt in den Rummel der Silvesterfeiern zu stürzen. Wir starten unter dem gemeinsamen Teamnamen "CFA Society Austria". CFA Society Austria unterstützt euch dabei mit Übernahme der bis zum 30.12.2018 gültigen Startgebühr (EUR 20). Die Anmeldung beim Veranstalter auf http://www.pentek-payment.at/ppay.php?p=957 nimmt jeder individuell vor. Bitte vergesst dabei nicht, als Vereinsname "CFA Society Austria" anzugeben. Eine nachträgliche Änderung/Ergänzung ist jedoch auch möglich. Nach dem Lauf treffen wir uns zu einer kleinen Beisammensein bei Snacks, Nachbetrachtung des Wettkampfs und zur Würdigung unserer großartigen Leistungen. Bitte füllt zur Koordination auch das Excel-Sheet (Download hier) aus und sendet es an carola.bendl-tschiedel@rbinternational.com. Die Refundierung der bis zum 30.12.2018 geltenden Nenngebühr erfolgt nach dem Lauf unter Nachweis der Teilnahme unter dem Namen CFA Society Austria. Fintech has become one of our members‘ preferred topics. Our succesful annual conference last year featured several of Austria’s most successful fintech companies. To continue that dialogue, we would like to invite you the FinTech Week Vienna 2018 which will take place from Nov 16 to Nov 23 (www.fintechweek.at) featuring several interesting workshops. In particular, we would like to draw your attention to the event on Nov 20 endorsed by CFA Society Austria "Growth Hacking = lots of customers?! Successful Austrian Fintechs talk about their strategies". Honouring the new charter holders and trying to bring all members of CFA Society Austria together for our most important event, we are searching every year for a new extraordinary location. This year's ceremony will take place in the impressive setting of the Heeresgeschichtliches Museum Wien. You will have the possibility to participate in a guided tour through the museum. The key-note speech will be held by Gary Baker, CFA, Managing Director EMEA at CFA Institute. Looking forward to seeing you on November 15. The event qualifies for 1 CE credit. Timothy W. Hayes, CMT, is NDRG’s Chief Global Investment Strategist. He has been with the firm since 1986. Tim directs NDRG’s global asset allocation services, develops strategy and major investment themes, and establishes NDRG’s weightings for global asset allocation, presenting his views on the cyclical and secular outlook globally. The CEE region is positioned for growth over the coming years due to a variety of contributing factors, mainly cost-efficiency of business development, implementation, and management. However, developments in this region are still somewhat underappreciated by many market participants and CFA Society Austria would like to shed more light on this region. This year’s autumn live event will feature key-note speeches by Dr. Daniel Thorniley, senior economists and a panel discussion with board members of local CFA societies - aiming to deliver opinions and perspectives on the current state and way forward in the CEE region. We trust that the conference will be a productive platform to gain new insights, shape new investment ideas, strengthen collaborative efforts, and create unique networking opportunities. Aufgrund begrenzter Platzkapazitäten ersuchen wir um Ihre verbindliche Anmeldung bis 21. September 2018. Bitte beachten Sie, dass ausschließlich angemeldete Personen eine Zutrittsberechtigung zur Veranstaltung haben. Bitte melden Sie sich hier an. Wieder einmal starten die CFA Society Austria Läufer bei einem Laufevent. Diesmal am Sonntag, 23. September beim Wachau Marathon. Die Wachau bietet einen schnellen Punkt-zu-Punkt Kurs durch eine wunderschöne Landschaft und Bewerbe über verschiedene Distanzen. Alle Informationen zu der Veranstaltung findet ihr unter www.wachaumarathon.com. Wir starten - je nach Präferenz und Fitness - bei verschiedenen Bewerben unter dem gemeinsamen Teamnamen "CFA Society Austria". Details zur Anmeldung erhalten alle Mitglieder per E-Mail. Solltet Ihr die Mail nicht erhalten haben meldet Euch bitte unter office@cfaaustria.org. Topics discussed include: Scenarios for future strategy and the implications for business models Building effective teams and the skills needed for success Changes to operational and distribution models, and leveraging technology Investment products. Welche Änderungen bringt die Datenschutzgrundverordnung? Mit welchen Problemen haben österreichische Online-Konsumenten zu kämpfen? Was sind die beliebtesten Betrugsfallen im Netz? Smartphone, Tablet & Co – Wie kann Medienerziehung im digitalen Zeitalter gelingen? Welche Fragen haben Sie an den Rechtsexperten rund um Online-Shopping, Urheberrecht und Datenschutz? Das Österreichische Institut für angewandte Telekommunikation (ÖIAT) ist ein privater, unabhängiger und gemeinnütziger Verein mit Sitz in Wien. Das ÖIAT entwickelt seit mehr als 20 Jahren Initiativen für die Förderung einer sicheren, verantwortungsvollen und kompetenten Nutzung digitaler Medien. Dazu zählen beispielsweise Saferinternet.at, Internet Ombudsmann, Österreichisches E-Commerce-Gütezeichen und die Watchlist Internet. FinTechs: Ergänzung oder Substitut für etablierte Player? Die Finanzbranche ist im Umbruch: volatile Märkte, Niedrigzinsen, regulatorischer Druck, technologischer Fortschritt, verändertes Kundenverhalten. Eine Vielzahl von Finanztechnologie-Unternehmen (FinTechs) entwickeln in diesem Umfeld aggressiv ihre fokussierten Geschäftsmodelle. Etablierte Player bauen auf die erwiesene Stärke ihres Kerngeschäfts und stehen vor der Wahl mit FinTechs zu kooperieren oder ihren eigenen Weg zu gehen. Gibt es dazu einen Königsweg? Im Rahmen der diesjährigen Herbstveranstaltung „FinTechs: Ergänzung oder Substitut für etablierte Player?“ will CFA Society Austria diese Themen aufgreifen und hochkarätige Industrievertreter zu Wort kommen lassen. As many of you know, we annually host the CFA Society Austria Prize where we work together with the leading universities in Austria to identify the best master thesis and doctoral works. The winners have been asked to present their work to our membership. The idea is to further intensify the cooperation between our members and the universities. In this context, we have the honor of welcoming Lukas Immervoll, one ofthe winner of the CFA Society Austria Prize this year. Welcome to Patrick O’Shaughnessy's new podcast series, Invest Like the Best. Betterment manages $5 billion dollars for over 175,000 clients. Patrick and Jon explore the challenge of getting young people to invest, Betterment’s recent foray into areas like the 401(k) market, and how Betterment works with financial advisors. If you’re unsure about robo-advisors, this conversation will make you better understand what they can do for you. Mehr als jede andere Idee entzweit der Gedanke an ein bedingungsloses Grundeinkommen PhilosphInnen, ÖkonomInnen, PolitikerInnen und BürgerInnen gleichermaßen. Warum sollte eine Gemeinschaft Einkommen ohne Gegenleistung gewähren? Werde überhaupt noch jemand arbeiten, wenn jeder ohne Lohnarbeit sein Auskommen fände? In einer rasanten Tour de Force, in einem Roadmovie um den Globus, versucht der Regisseur, dieses Gespenst, das umgeht in der Welt, greifbarer zu machen. Wir reisen durch Zeit und Raum und sehen Zusammenhänge, die uns bisher verborgen blieben. CFA Society Austria has participated over the last years in very interesting asset market experiments with financial professionals led by Prof. Huber, Prof. Kirchler and Prof. Weitzel. We are invited to participate in another round of this experiment where participants can trade virtual financial assets in an experimental laboratory environment. Participants receive a compensation which can go up to 250 Euros, depending on their experimental decisions. The experiment and the following de-briefing will last around 90 minutes. It will be run in two groups with a maximum of 24 participants in each group, one starting at 12:00, the other at 14:00. Please register at http://financeexperiments1.doattend.com to participate in the first group starting at 12:00. Please register at http://financeexperiments2.doattend.com to participate in the second group starting at 14:00.